I agreed to another interview, but shortly after that, Smokey’s publicist said mentioning any past relationship (obviously, a reference to Chloe Sevigny) would be off limits. I still said OK.
Snooze Button Generation: It’s good to see you again. 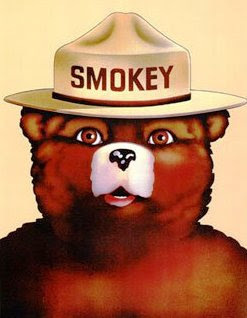 Smokey Bear: Yeah, it’s good see you, kid. I like the new name thing here. Snooze Button Generation – it has meaning. A good ring to it. SBG: Thank you, Smokey. … Anyway, some of the things you said in our previous interview caused a stir. Is there anything you said that you regret? Smokey: Regret? Hmm. I don’t regret anything. But I do want to be clear and say that I am 100 percent behind the U.S. Forest Service and its mission. I am completely against forest fires and wildfires. SBG: Last time, you mentioned the word “exploited.” Do you feel exploited by the U.S. Forest Service? Smokey: (long pause and cough) Not at all. Listen, I’ve lived a charmed life. How many bears do you know who are celebrities? Of course, there are Pooh Bear, Paddington and the Berenstain Bears. Y’know, a lot of superficial bears. At least I was behind an important cause and have interests other than things like honey. SBG: Are you calling other celebrity bears superficial? Smokey: Don’t twist my words, kid. I’m just saying that, by comparison, my work with the U.S. Forest Service is commendable. By comparison, I’m certainly not exploited. SBG: Would you say other bears are exploited? Smokey: That’s a tough question, kid. The word “exploited” takes it a little far. 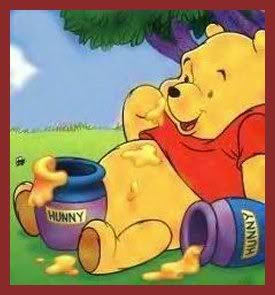 I just believe that the depictions of bears in the media are way behind the times. A lot of people think we’re one big joke. When you see a bear in the media, think "S.O.S." We’re “Scary Or Stupid,” and, obviously, that’s not how we are. There was a bear on the loose in the Will Ferrell movie “Semi-Pro,” and I’ve seen no Oscar nominations for any bear ever. This is all what I call "Oso rotten." SMG: What would you like to see happen with depictions of bears in the media? Smokey: I just want directors to analyze what they’re doing. For example, if you look at the portrayal of the Charmin Bears in their recent commercial, anyone can see how offensive it is. You have a bear who gets toilet paper stuck to the fur on his buttocks. And that’s acceptable? … And I’m here in this interview apologizing to the U.S. Forest Service. That’s crazy. I’d like to see an apology from Charmin.